CryptoCurrency : Is OuiCoin a scam or NOT? I just read about OuiCoin, wanted to ask if it is a legit coin or there are some caveats t in it aswell. Team : On OuiCoin website Team section, only name of CEO is mentioned. Waqar Zaka has no prior skills of blockchain but he has been active in his videos of Crypto. Blockchain and crypto success is very much dependent on the Idea and concept, so a visionary Founder of a crypto without indepth know how can also be beneficial for a coin. Github Code : Developer of OuiCoin is GrumpyDevelop , Andreev Maxim Olegovich is the person behind the development who develop coins on payment as his Upwork profile suggests. While his Model Aircraft Registration profile indicates he is also into RC Aircraft. The activity on the source code of OuiCoin is dormant as of now, but again the ICO date is not known now, so we can wait until that happens. Social Presence : OuiCoin has no BitcoinTalk Announcement thread, Only this thread has 6 replies which is the maximum. Medium.com has a post by a user "SEO Gladitor" talking about OuiCoin, which does not cover the detail of the coin.Their Facebook Page only replies to users who ask them "how to buy" , "where to buy" rest if anyone asks anything technical is ignored. They do not have a Telegram group rather have a channel which has only 3 messages telling to Download their wallet. Website : A typical website the same how every other ICO has these days. Nothing eye catching written on their site, like "We believe there aren't enough currencies out there where the development team listens to the community, where the development team are open for suggestions and discussions." I do not know how this statement will be justified. The Login / Signup section of the website is also NOT WORKING. OuiCoin website was registered only for 1 year and is set to expire in 26-10-2018 as per the Whois Data. Pre Mine OuiCoin : Although no details have been shared nor any date of ICO has been given but still you can see on OuiCoin Explorer thousands of coins being generated through their blocks which are already sitting in wallets . Master Nodes are already working and people are connected to them but no information to general public is given. ICO : ICO still didn't commence as of now , but as seen in the explorer people already have many of OUI coins , weird ? YES. Although ICO is not open yet but still their Facebook Page is telling people to see their details on snapchat on how to buy whilst no details are shared on website or Twitter. Roadmap : As per their roadmap , ICO should commence in Q1 2018 , which means anytime now . 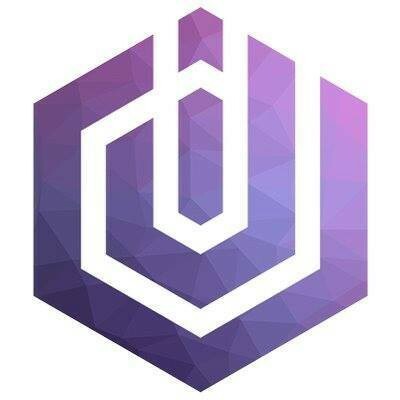 OUI DEX , an exchange made for OuiCoin will be launched in Q4 2018 which indicates this coin might not be listed on other exchanges in initial days. Is OuiCoin a Scam : I would need to wait for the whitepaper to come up with a conclusive statement, The founder of this coin is a celebrity so it would be really difficult for him to pull off a scam stunt (I would rule that out of the equation for now). With that said : making a coin and launching it costs nothing now a days and spending around $150 gets you a working Coin+Blockchain+Website. Is OuiCoin registered with SECP : As per the SECP Data the latest project related with OuiCoin namely "Digital Consultancy" has been registered. Always do your research before investing and never give out money in hopes of high gains, there are no high gains. Thank you DrHack, By reading this detailed answer, I would prefer not to invest in this coin, and better move onto something well credible already. Such a well-researched article (recon paper? ), made me register to the site and comment.